Traveling with children can be challenging especially when they are young. This is the period when their curiosity starts developing, their patience runs out and they vocal cords are getting stronger. All in all, not a good time to be traveling by car. What’s the easiest thing to do when going on a large trip? 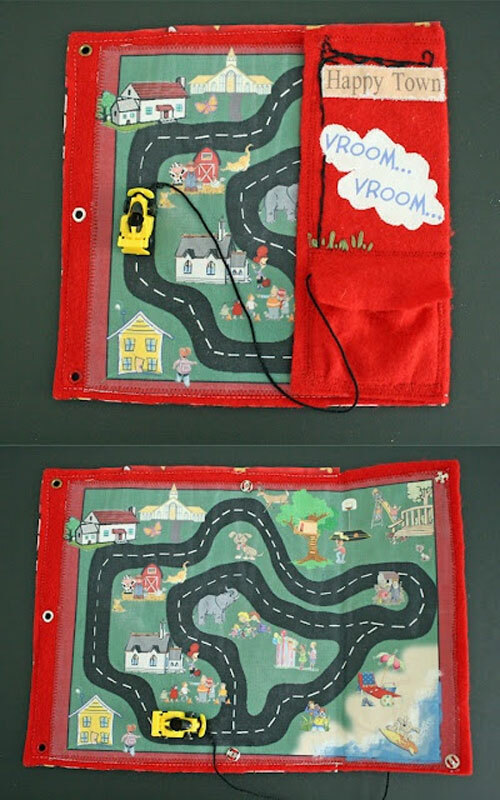 Keep your little ones busy by getting them some of these great car games. They will embrace the idea of road trips with more tranquility and excitement. 10. I Spy: This game is so easy that even a preschooler can play it without any trouble. And it can prove to be quite entertaining for a long time. All one needs to say is a simple phrase: “I spy with my little eye, something blue.” The last thing has to be a clue and the people in the car have to guess the item. 9. 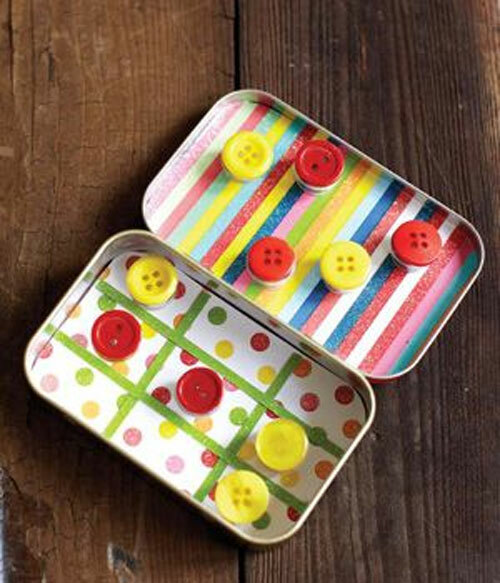 Candy Tin Cans – these small things remind me of my childhood so I think it would be a good start to introduce them into your child’s life. They are very versatile and can be used as X’s and O’s, Lego kits or as small doll beds. There are a million options, you just need a bit of imagination. 8. Licence plate game – this is not only a simple game but also a game that helps kids improve their geography skills. You just need a pad of paper to write down the name of every state that you can spot (Canada is also included here). Who gets all 50 states masters the game! 7. Twenty Questions – this is another popular car game that can be played with kids as young as four years old. One person has to think of a mineral, vegetable or an animal. Then, the other players have to ask yes-or-no questions and after the 20 questions are asked, each player can make a guess. 6. Secret Place – this is quite a complicated one because it involves having a keen eye for details. One person has to look at a road map and name a village, river or town of their choice. After naming their option, the players have 60 seconds to find the place. As I said, if you don’t have a quick vision, you will lose. 5. Hangman – uuu, I used to love this game. One person thinks of a place, movie or person (pretty much anything goes) and draws a line for each letter in each word. The other players have to guess the letters and recreate the word(s). If the word contains one of the letters mentioned by the player it is written in the right place. If not, the player who thought of the word has to draw the head on the hangman scaffold. If the player who is guessing says too many incorrect letters, the dead body is complete and the player loses. If he guesses the word before the drawing of the body is complete, then he wins. 4. Quiet books – these are perfect if you are passionate about DIY projects and you have the aptitudes that are required to complete such projects. It is true that these are a bit complicated to create but once you finish and you see the joy in your kid’s eyes you will thank yourself for doing so. 3. The theme song game – this game is as simple as its name. One person has to hum the tune of their favorite TV show and the players have to guess the name. The first person who guesses the name right hums the next song. 2. I’m going on a picnic – in this case, the first player has to say the phrase “I’m going on a picnic and I’m bringing….” The word that follows has to begin with the letter A (apples, for instance). The second player repeats what the person is saying but adding something that begins with the letter B (bananas). The others have to continue; if they forget an item they are eliminated. This game is actually a bit harder than it seems, so if you want, you can give hints to the little ones to help them in the game. 1. Telephone – probably one of the most popular games ever. I remember I used to play it with my friends and we would get a good laugh out of it. Someone has to whisper a story or a word to another person. The person receiving the story has to tell the same story to a third person. This happens to all players and the last one has to say the story out loud. As you can imagine, most of the story would get lost and the result will make everyone laugh. And this is how you have fun on road trips with kids!